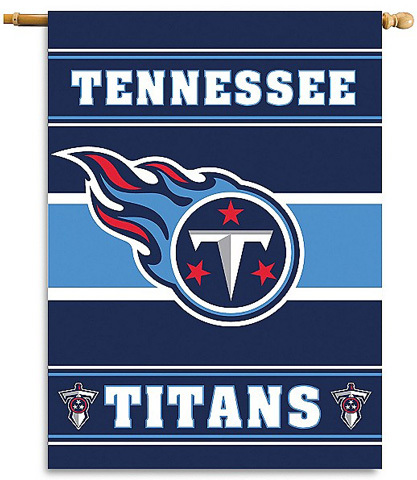 Officially licensed property of the Tennessee Titans NFL sign, made of durable styrene with die cut hanging hole. 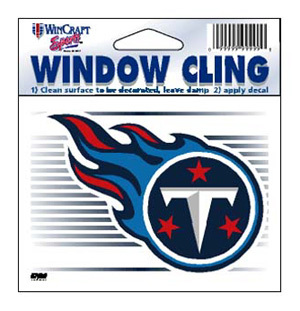 These signs work great for indoor or outside use, are nearly indestructible in normal use, and can be washed with soap and water. Made in USA. 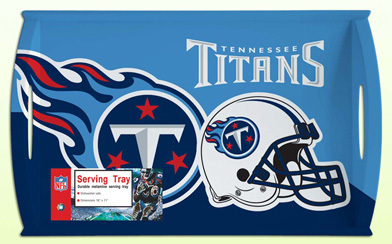 Measures 7.25" x 12"
Officially licensed Tennessee Titans NFL serving tray. This durable melamine serving tray is dishwasher safe and measures 18" x 11". Great for Football Parties! Made in USA. 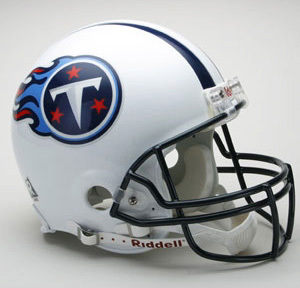 Officially licensed Tennessee Titans NFL replica mini helmet with interior padding, 4 pt. chinstrap, and official shell colors and decals. The perfect autograph helmet. Measures 5" tall. 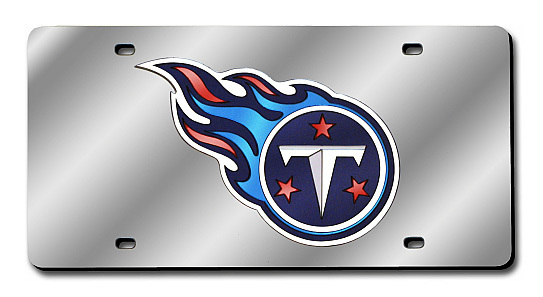 Tennessee Titans / Plastic NFL License Plate Frame, by WinCraft. 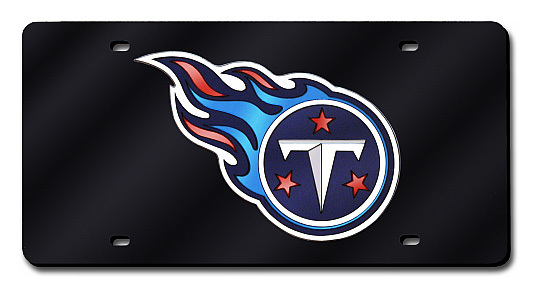 Officially licensed Tennessee Titans NFL plastic license plate frame, usable as a fan decoration on the outside of a standard car license plate. The frame is molded in durable plastic and is designed around the California standards for tab and sticker clearance. Made in USA. 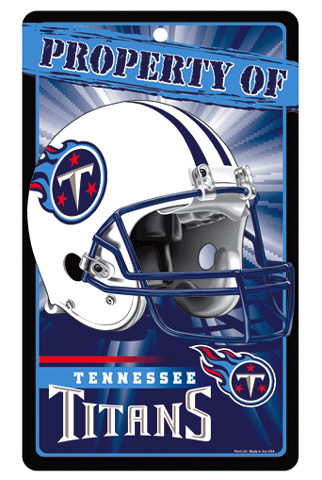 Tennessee Titans / LP Field Framed and Matted NFL Panoramic Photograph. The panorama photo is of LP Field (25 Yard Line) in Nashville, home of the Tennessee Titans, on October 11, 2012. 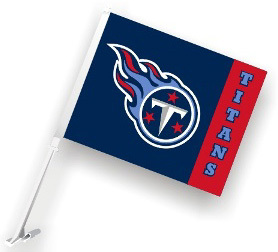 The Tennessee Titans defeated the Pittsburgh Steelers 26-23. The deluxe panorama features black double matting and your choice of black or cherry frame, with a 1" x 4" engraved brass nameplate. Actual size is 40" x 14"